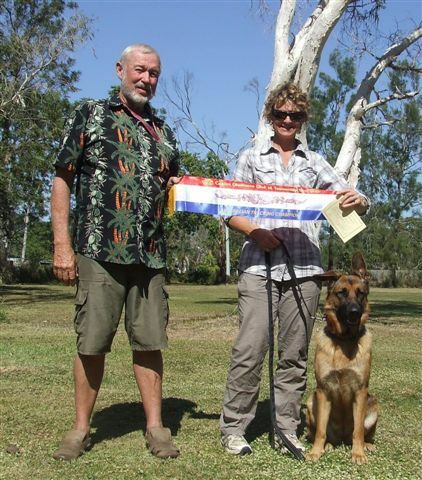 Tracking Champion Beychief Miracle Gift (Xena) with Carolyn Munro, Qld. (Ear was damaged in an unfortunate accident). Xena flew through her tracking tests, mostly Excellent Passes. Pictured with judge Mal Holland. Xena is doing heaps of other things too. Daughter of Rusty and Reign.